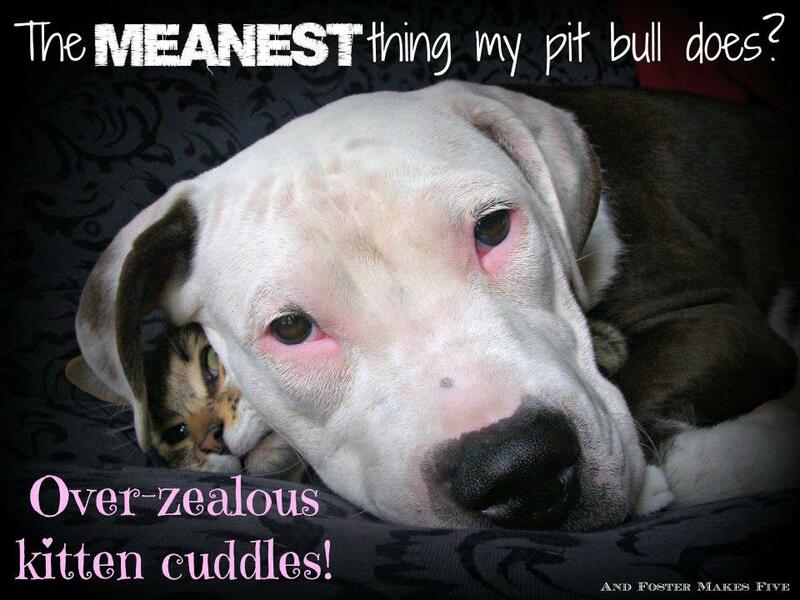 How Mean is Your Pit Bull? : Contest Conclusion! Most of you are well-aware that And Foster Makes Five has been holding a contest for the past few weeks. 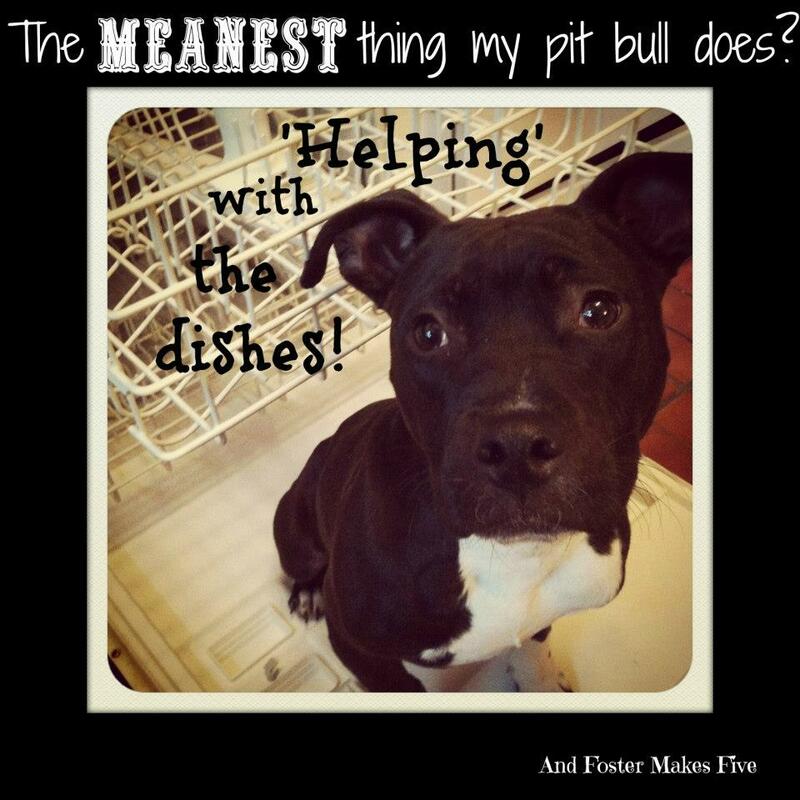 In the contest, we accepted silly photos of your pit bulls (or other ‘dangerous’ dogs) at their ‘meanest’. Each submission counted towards 1 pound of dog food, which we will be donating to a local shelter. Simultaneously, we edited these pictures and shared them on our blog and facebook pages. The photo with the most shares and likes would win an undisclosed prize… well, it’s finally time to announce our totals, our winners, and just what the lucky champions will be receiving! A few of you may not have heard about our contest until it was too late, but you still wanted to send us some snapshots of your precious pups. We LOVED seeing these photos. Seriously, we think that the AFM5 readers and followers have a disproportionate amount of adorable dogs. It’s just not normal!! While we did not have enough time to edit and add some of these late-comers before the end of the contest, we still counted them towards the totals for the food donation… which was 40! Woo-hoo 🙂 We will be rounding up and making a 50 lb donation to a local Pittsburgh shelter.. stay tuned for that post next week. There were 29 competitors in the facebook sharing contest. Each like counted towards 1 vote, while each share counted as FIVE votes! Here are our top entries, with impressive numbers! Winner: Forrest – 125 votes! Forrest is a big clown, who also happens to be a foster pup through LCPO, Georgia’s rescue! He is available for adoption, but until his forever family comes along, his foster family is loving every second of his adorable antics. He is approximately one year old, and was saved from death in the NYC ACC shelter system. He loves people, dogs, and cats, and while he is 100% house and crate-trained, he is a diligent student in obedience class. We love you Forrest! Thanks to his foster mom, Chrissa, for submitting this adorable photo. Runner-Up: Oscar – 109 Votes! 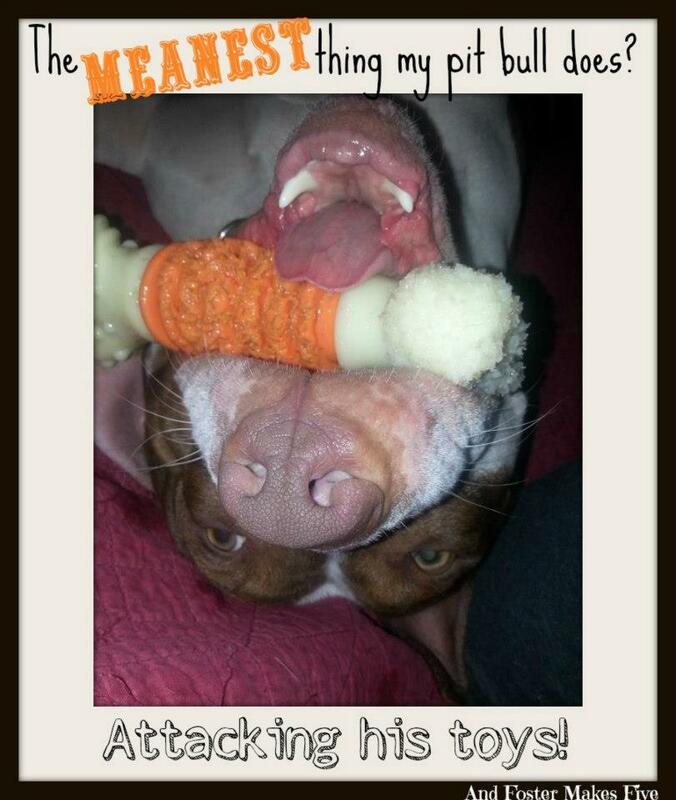 You may recognize Oscar as the resident Super Dog over at Tails of a Foster Mom! Our friend Rebecca rescued him after the adoption of her beloved foster dog had left her heartbroken, and the rest is history. She received an email about this boy (known as Half-Pint, at the time!) who was slated for euthanasia, simply due to lack of space, and she knew she had to make him a part of their family. His growth was stunted due to severe malnutrition as a pup. While that leaves him with an eternal puppy presence, he certainly doesn’t let it slow him down! He has made a perfect addition to their family, and serves as a great friend and greeter for their revolving door of foster pups! These two were not at the top of the list as far as votes are concerned, but they were nevertheless two of my favorite submissions, for different reasons. I have a soft spot for dogs (and their owners, of course!) who are pulled from NYC shelters, and Miss Midnight is no exception. She now lives out in Western NY, enjoying life as a country girl with her ‘big sister’ Babygirl, a rescued German Shepherd mix. This photo needs no caption. I just can’t get over this shot! It is too adorable for words. You may recognize that sweet face as Norman, from My Two Pitties, along with his feline friend Marty. Too cute! We thank everyone who made submissions, as well as those who liked and shared. We couldn’t have made this donation without all of you! … Well, okay, we could have. But it wouldn’t have been nearly as much fun, and we wouldn’t have been spreading pit bull love throughout the interwebz while we did it! You may remember that yesterday’s post featured our friends at CharlieDog and Friends. They are generously donating prizes to our contest winners! We couldn’t be more excited to partner with such an amazing organization. Be sure to check out yesterday’s post, and LIKE them on facebook. They deserve all of the support that they can get! 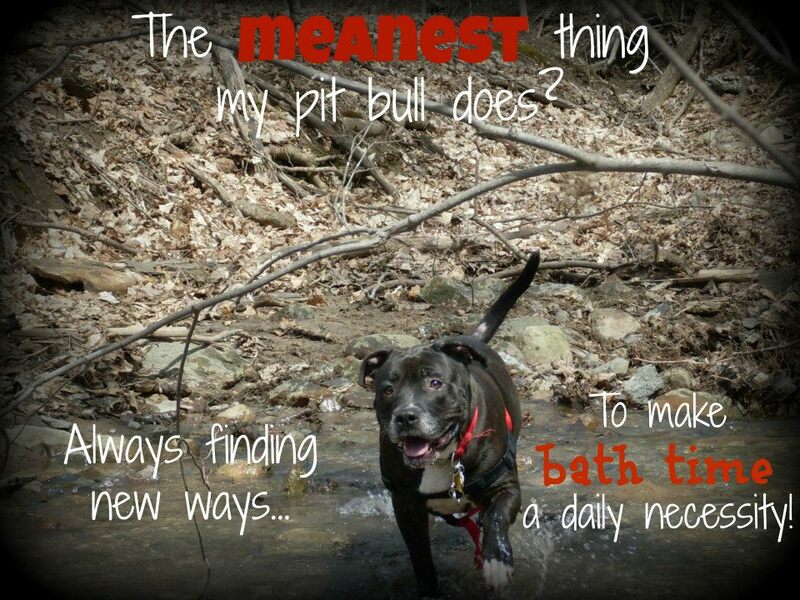 This entry was posted in Discrimination, Fundraiser, Giveaway, Pit bull, stereotypes and tagged charliedog and friends, contest, dangerous dogs, dog stuffed animal, don't bully my breed, mean dogs, pit bull facts, pit bulls, the real pit bull, truth about pit bulls. Bookmark the permalink. ← CharlieDog & Friends: L.O.V.E. I agree ^^ this is too cute not to continue! Congrats on the winners and to you for coming up with such a brilliant idea! Please do this contest again or something similar! I can’t get enough of the adorable pittie photos! Very Very cute pictures and what a wonderful concept 🙂 Please keep doing it!